Enrollment is closed until June. Please click this link to get on the list for a June start! If you are joining us from CLA or the Expulsion Center, come see us as soon as you get your placement and we will get you enrolled right away. Please see the Enroll NOLA website for more info or call The NET for more information. Interested but not sure the next step? Click here and someone from The NET will give you a call. 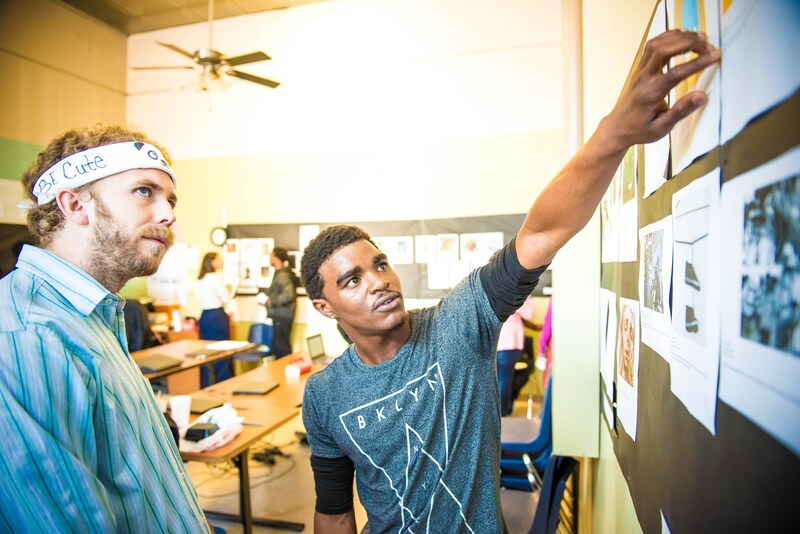 The NET participates in the EnrollNOLA One App system. Therefore all applications and enrollment decisions are facilitated through the EnrollNOLA Family Resource Centers, rather than directly by The NET staff. For information on the One App Process, please visit the EnrollNOLA enrollment website. Family Resource Centers are open 8:30 AM – 4:00 PM, Monday – Friday and can be reached at (877)-343-4773. Once EnrollNOLA has notified you of your admittance to The NET, you must come to The NET and complete an Enrollment Packet. This information is necessary in order to enroll you in the school and schedule your classes. 1614 Oretha Castle Haley Blvd. "I would tell anyone that is even thinking about attending the NET to go for it, don’t second guess it!"